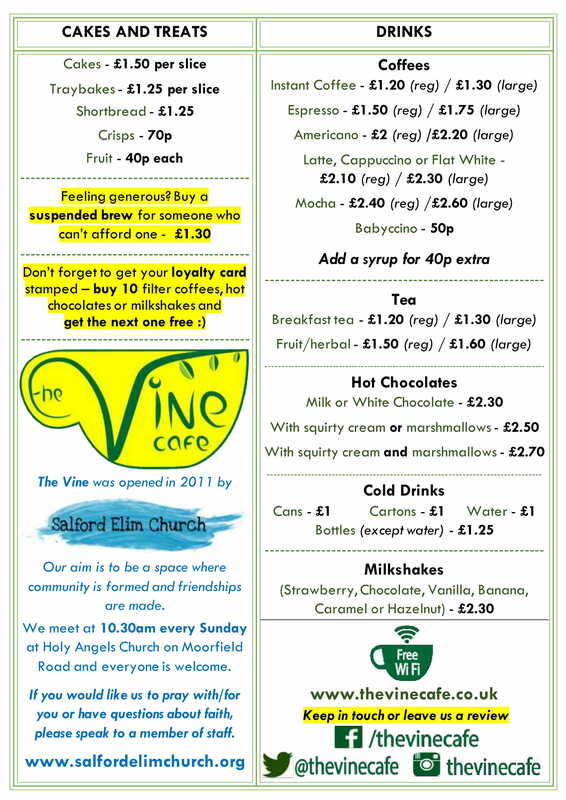 The Vine Cafe was opened in 2011 by Salford Elim Church. 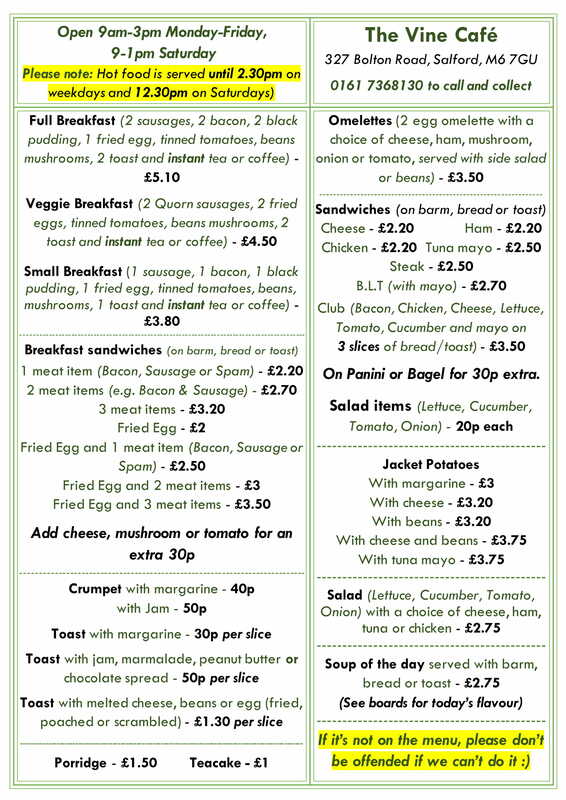 Our aim is not to make money but to create community and a space where people can build friendships whilst enjoying nice coffee and tasty food (see ‘Our Menu’ below). There are several groups which currently meet in the cafe (see ‘What’s On’ below) and you are always guaranteed a warm welcome. An informal gathering for those who enjoy making and creating things. You don’t need have great skills to get involved, just come along. This choir meets on the 2nd and 4th Thursday of every month from 8-9.30pm to sing a mixture of old and new music. It’s really informal and you don’t need be able to read music or sing like Pavarotti to join! Why not give it a try? Want To Hire The Vine? The Vine can be hired outside of opening hours for parties, meetings and community project for just £10 per hour. If you are interested, get in touch. Want to make a telephone order? Ring 0161 736 8130 before you collect.